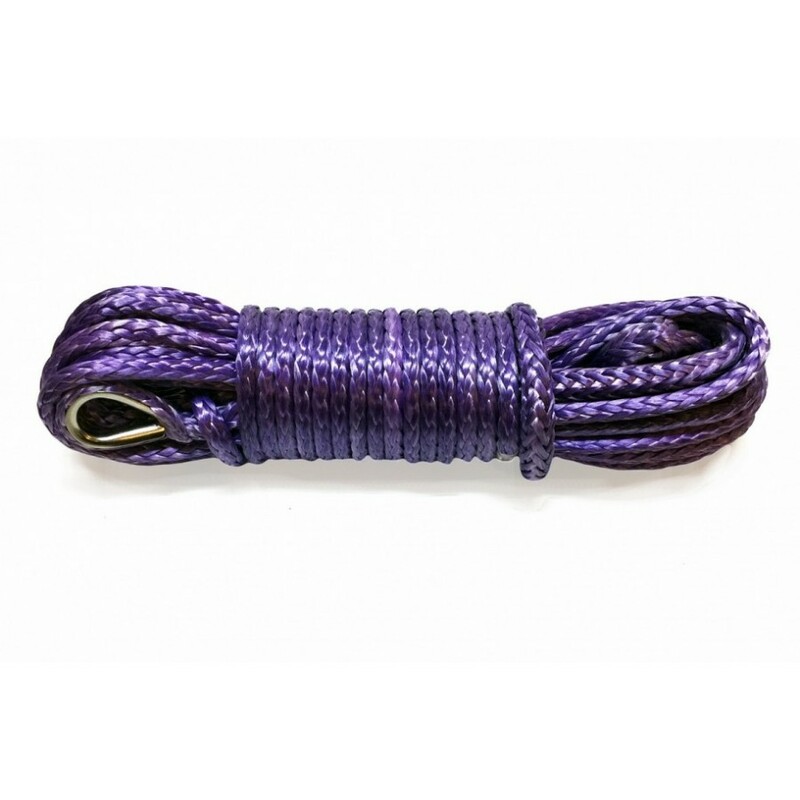 Powerline synthetic ropes are extremely tear-resistant and low stretch. Very long durability, good resistance to abrasion, very low weight, high UV light resistance, flexibility and splice ability make this kind of rope simply irreplaceable in many different applications. 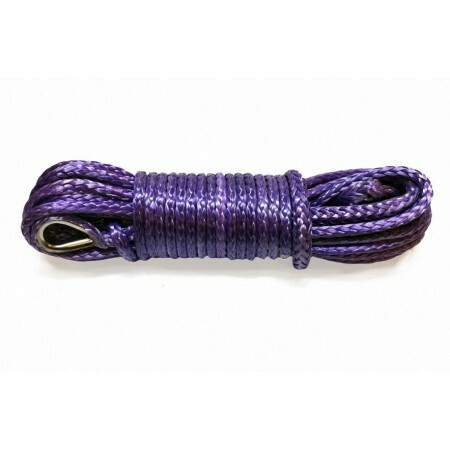 Powerline ropes are an ideal replacement for stainless steel wire or steel rope. Purple is ended with thimble on one end, and with the loop on the other.